Maureen Booth discovered etching at the end of the 1970s when she was selected for the printmaking program of the Fundación Rodríguez-Acosta in Granada. There she worked for three years with José García Lomas, the printmaking maestro who left a rich legacy of etchers all over the south of Spain and further afield. 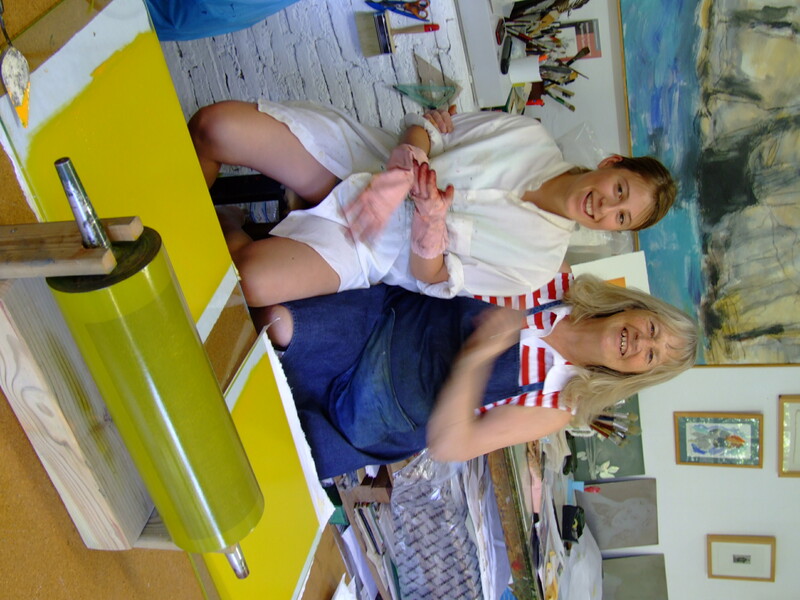 After the Foundation etching program closed in the early 80s Maureen had the opportunity to buy one of the etching presses and all the trimmings and set up her own etching workshop in her studio. As many of you know, printmaking can take over your life, and that’s what happened to Maureen. She started doing prints, then portfolios, then commissions for company gifts, then courses and some editioning assignments. Suddenly it was a full-time job. Then came Internet and Maureen’s field of action grew significantly. Artists and students started coming to her workshops from all over the world, and a lot of them came back. (Read what some of the recent ones have said about their printmaking experiences with Maureen.) 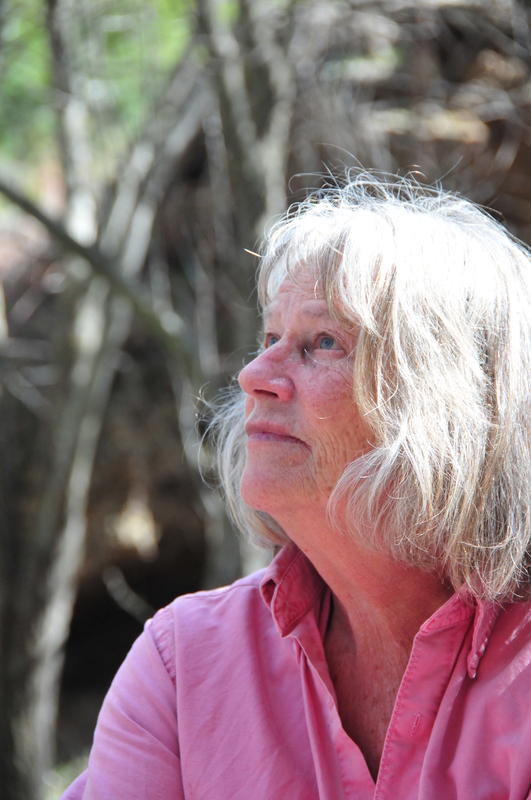 Everybody agrees that the experience of working with Maureen is something special. Besides her vast experience with inked plates, she’s patient and generous with her knowledge, gently leading the students and artists who come to her studio instead of pushing them. 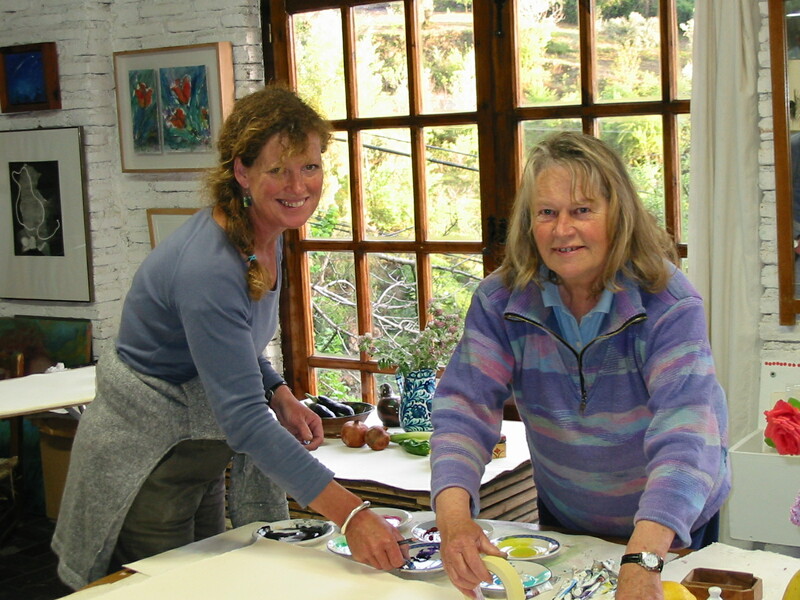 Early in 2010 she embarked on the renovation of her previous studio (which was formerly a chicken house; hence El Gallinero, The Chicken House), converting it into a residence for artists. The results have been rewarding. The Gallinero has been wildly successful from the beginning. Artists–and writers, too– love the perfectly tranquil setting at the end of her garden, the ample workspace, the creative Spanish rustic design, the personal attention and the exclusivity. There is only one Gallinero, which sleeps two or three, so there is no hustle and bustle around the place. Everybody who stays there agrees it’s an ideal setting to get some work done. Above right, Maureen and her grand daughter, Elisa, who recently graduated from the University of Granada with a degree in Fine Arts. Have You Seen Maureen’s Video Printmaking Tutorials? Take your printmaking to the next level with her Printmaking Master Classes.